Why? and How to solve please? When you create a MVC project with Identity, it will create register and login page for individual user. Basically, a web api project do not need UI so you need to access token from third party since asp.net core does not support it. However,it is allowed that you develop web apis in MVC projects. 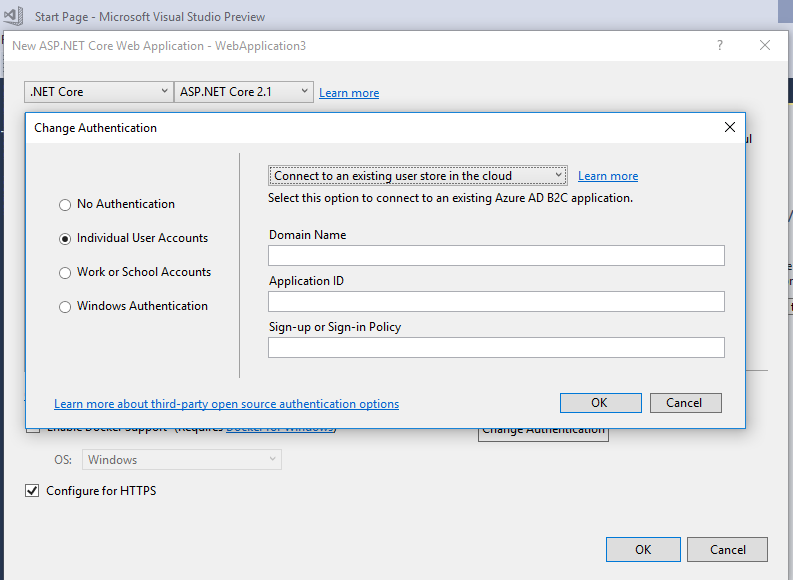 Or you could create a new Web API project with no authentication and then add scaffold identity into it if you want to. 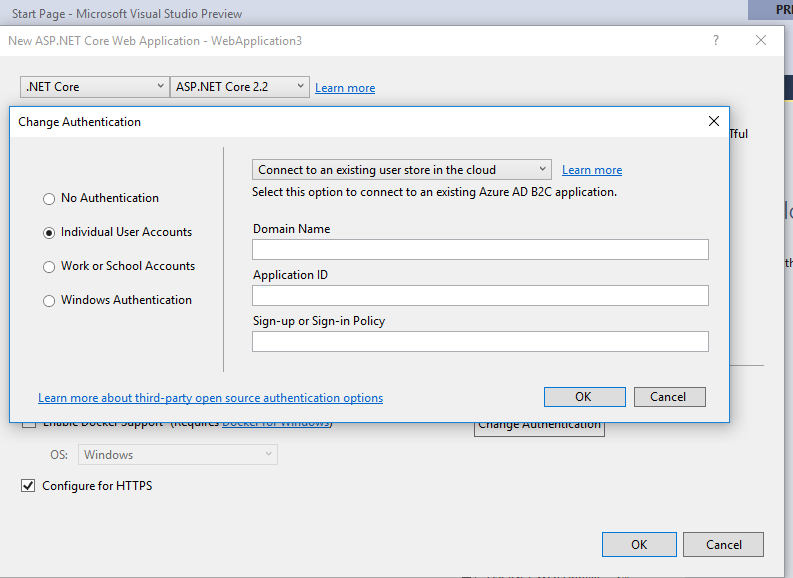 For Individual User Account in Asp.Net Core Web API template, it has been removed and you will not be able to access this from VS.
Based on your previous post, it seems you are getting startted with asp.net core web api. If so, I would suggest you learn from Asp.Net Core MVC project with Individual User Account. You could start from Introduction to Identity on ASP.NET Core. There are big changes from asp.net to asp.net core, I would suggest you learn asp.net core from .net core resource instead of .net framework.